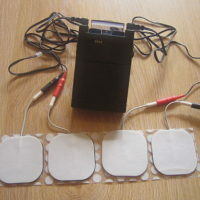 Programs and Modes Pure Enrichment Pure Pulse Duo EMS and TENS Combo Device features 14 pre-programmed programs in total. As I said before, this product integrates both TMS and EMS modes. The number of pre-set TENS programs is 8, while there are 6 pre-set programs for EMS.